The question of whether or not cannabis can be a useful tool for pain management is not up for debate: thousands of years of its use as an analgesic combined with hundreds of patient self-report surveys generated over the last several decades tell us that people who use cannabis experience relief from pain, whether neuropathic or nociceptive. While historical use has pointed us to cannabis for pain relief, scientists are still working to understand precisely how cannabis works in this context so that it can be used more effectively. 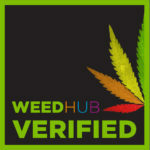 Thankfully, a greater acceptance of the plant as an analgesic in recent years has led to better quality research on the subject of exactly what cannabis, and more specifically cannabinoids, do in the body to help quell pain. The body’s endocannabinoid system plays an important role in the management of pain and inflammation. While the body’s natural endocannabinoids are produced on an on-demand basis in injured tissues to help reduce pain by activating our cannabinoid receptors, cannabinoids like THC and CBD can have a similar effect on our pain tolerance. In their literature review mentioned earlier in this chapter,3Russo and Hohmann write that THC is a partial agonist of both CB1 and CB2 receptors, meaning it acts as an “activator,” initiating a physical response. They write that “pathological pain states have been postulated to arise, at least in part, from a dysregulation of the endocannabinoid system,”4meaning that an unbalanced ECS might be at least partly to blame for ongoing pain. From their examination of more than two hundred pieces of literature, they concluded that basic science and clinical trials support the idea that cannabinoid therapy is a practical way to treat chronic pain. While we know that cannabinoids like THC and CBD can help us deal with different types of pain, scientists have (mostly) concluded that what makes cannabinoids effective is not necessarily how they interact with the pain itself, but how they interact with our perception of the pain we’re experiencing. Few researchers with a focus on cannabinoid therapy have a better grasp of cannabis and its effects on pain than Dr. Mark Ware, an associate professor in family medicine and anesthesia at McGill University in Montreal, and the director of clinical research at the Alan Edwards Pain Management Unit at the McGill University Health Centre. “Pain is a fascinating symptom,” he says when I ask about how cannabis changes our perception of pain. “If you think about a pain you may have experienced, you’ll know well that there’s a sensory component to it, a feeling of shock from the intensity of the pain—but there’s also an emotional aspect to pain,” he says, describing the subsequent “I’m such an idiot” moment after you’ve cut yourself while cooking. “As simplistic as it sounds, it’s representative of the amazing network in the brain that actually processes pain.” Ware says pain signals are sent up the spinal cord and then relayed to a part of the brain called the thalamus. From there, the thalamus sends the signal throughout the brain to areas including the sensory cortex, where you feel not only the feeling of pain, but also the place in your body where the pain resides. Ware says a cannabinoid-based drug will affect multiple centers of the brain, including memory and cognition, as well as sensation and so on. When he speaks to patients who use cannabis to treat their pain, they’ll often say that while they can sometimes still feel that it’s there, it doesn’t come attached with the unpleasant feelings or negative emotions that it was previously associated with. 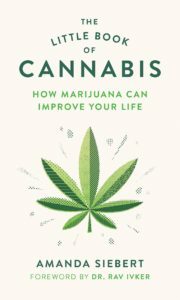 Excerpted with permission from The Little Book of Cannabis: How Marijuana Can Improve Your Life by Amanda Siebert, foreword by Dr. Rav Ivker (Greystone Books, Oct 2018). Ethan B. Russo and Andrea G. Hohmann, “Role of Cannabinoids in Pain Management,” in Comprehensive Treatment of Chronic Pain by Medical, Interventional, and Integrative Approaches, eds. Timothy R. Deer et al. (New York: Springer, 2013), 181-98.